Looking to getting the party started? A party magician provides the perfect entertainment for everyone to enjoy. After all everybody loves magic! Having something that everyone can talk about at a party is ideal, especially when people may not have met before. 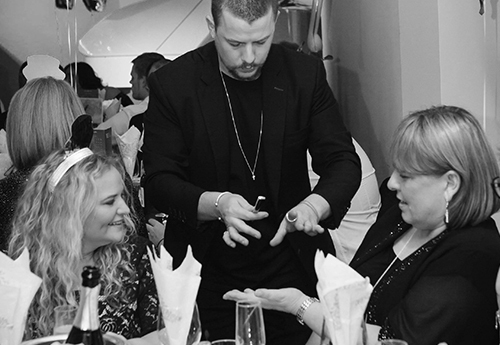 A magician creates a talking point; magic is the ideal ice breaker & can take your party to the next level. 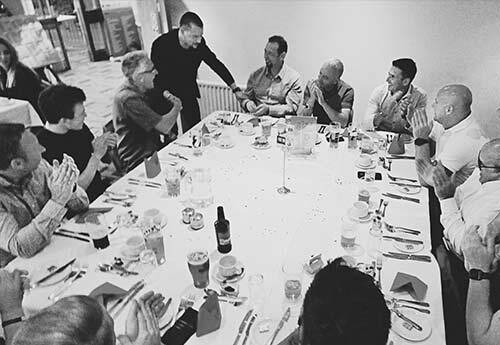 Guy is an experienced party magician, He knows that every party that is different and is able to adapt, work the room at a professional level making sure that everyone gets to see some incredible magic. Having performed at a range of different events, from birthday parties to the Brit’s after party, Guy has the experience necessary to really give you a show stopping performance you will struggle to forget. Having performed all over the world, Guy has built a reputation for not just performing magic, but also for entertaining his guests and leaving them completely speechless. Guy is a truly magical, performing a great of passion and it is this that makes him stand out from a crowed.